Many who saw “Teddy” Brennan play basketball in the late 1940s through 1950s claim he was one of Bristol’s best ever. Bristol-born, he graduated Park Street School and entered Bristol High in the fall of 1946 where his “legend” began to grow. He led the league in scoring in both his junior and senior seasons and earned All-State recognition for his play. 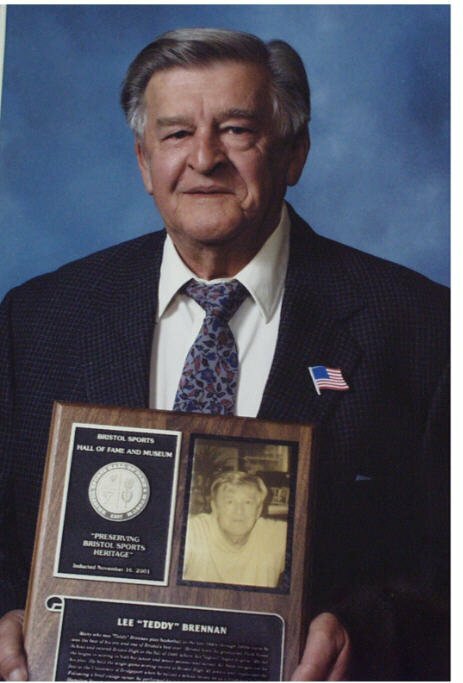 He held the single-game scoring record at Bristol High, 42 points and duplicated the feat at the University of Bridgeport when he tallied a school-record 44 as a freshman in 1951. He later performed for a number of area teams; including the 1954 Hamilton Standard squad, state “Dusty” circuit champs that year.